Our driving lessons in Grays (Thurrock) and around Essex are unlike any other from training schools in the UK. Our company is 100% dedicated to giving you an interactive learning experience. With experienced tutors and proficient systems, Smart Drive UK ensures its trainees are not only trained by the best, but are safe throughout the experience. Our resources include a comprehensive library of driving resources and learning tools that will help you to learn even the most complex driving manoeuvres with ease. We have established a reputation as one of the leading driving lesson providers in Grays (Thurrocks). Our instructors will give you the secrets to help you make it through your driving test. 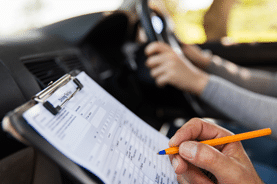 If driving makes you nervous or you have issues with the written test, our services are designed to ensure that your worries fade away as your competency levels increase. Motorway lessons are also available to qualified drivers. Making a booking for driving lessons in Grays could not be easier! Simply give us a call on 0845 017 9778, 01903 691002 or 07760 767170 and speak to us direct. To make an online booking or enquiry with us for your driving lessons in Grays or Essex, click here. Our driving instructors abide by industry regulations, and stick strictly to DVSA approved standards. When you choose Smart Drive UK for driving lessons, you’ll find that our training materials ease your learning experience. Learning to drive in Grays with Smart Drive Uk is safe, with dual-controlled cars, and a proven-system to build you into a careful and confident driver. Smart Drive UK aims to provide exceptional quality, cost effective theory and practical training to individuals; to provide a fast learning experience. We use methods that speed up the driving process so you can finish in days, what most people do in weeks. We understand that the learning pace varies for each individual, so we offer various flexible options for our student drivers. Although our recommended length for practical driving lessons is 1 – 2 hours, our students have the freedom to decide how long they want to spend per session. This enables us to provide an ideal learning experience for both fast and slow learners, and to fit your schedule. Learners who are looking for an extended driving lesson will find our intensive programme suitable for their preferences. If you are still developing yourself as a confident driver, we allow you to take your time to master the process. Even experienced drivers and quick learners who are looking to refresh themselves can use our special driving programme. All of our cars are equipped with dual control to ensure safety during your learning experience. Rest assured our instructors are close by to prevent any mistakes from getting beyond control. A Pass Plus course is an opportunity for the recently qualified driver to enhance their skills. You are also guaranteed a discount on your insurance- which is often higher for new drivers. To get excellent results in our Pass Plus course, we recommend that you spend at least one hour of training per module, although we give you an opportunity to retake the course if you are unable to pass first time. Besides growing road confidence and driving skills, a Pass Plus certification reduces your chances of getting involved in road accidents. Upon successfully completing all six modules, you’ll be awarded a certificate from the Driving Vehicle Standards Agency. We offer an instructor class for both standard driving and Pass Plus lessons- making us a premier driving school in Grays, and for its neighbouring areas. Only drivers who are qualified are eligible to take our motorway classes. Intensive courses range from 15-35 hours and are completed with 1-2 weeks. For intensive courses over 35 hours, the duration may extend to 3 weeks (sometimes less). We charge by the hour and receive money upfront for the first instructor-led lesson. Smart Drive UK training is delivered with your learning experience in mind as many people learn in different ways. Our instructors are experienced and trained to instil techniques that will make you confident under any driving conditions. We offer flexible training classes that allow you to progress at your own pace. Our Grays driving lesson are affordable and you are great value for your money. We adhere strictly to DVSA standards and your safety is our priority. Are you looking for a smooth learning experience? You can become a confident driver in days. 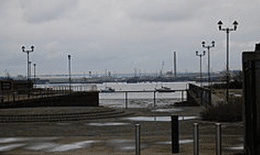 Grays (or Grays Thurrock) is the largest town in the borough and unitary authority of Thurrock in Essex and one of the Thurrock‘s traditional (Church of England) parishes. 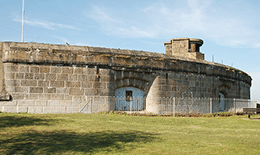 The Tilbury Fort, also known historically as the Thermitage Bulwark and the West Tilbury Blockhouse, is an artillery fort on the north bank of the River Thames in England. 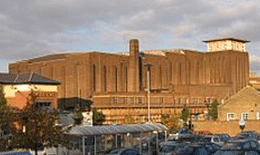 The State Cinema is a Grade II* Listed building in Grays, Essex. It opened in 1938 as one of the most modern cinemas of its type at the time with seating for 2200 people. 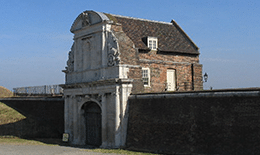 The Coalhouse Fort is an artillery fort built in the 1860s to guard the lower Thames from seaborne attack. It stands at Coalhouse Point in Essex on the north bank of the river, at a location near East Tilbury that was vulnerable to raiders and invaders. 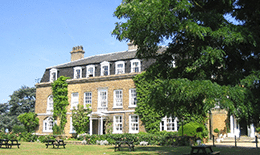 Orsett Hall was a 17th-century grade 2 listed building in Orsett, Essex (de-listed on 10 March 2008). It was set in 12 acres (4.9 ha) of parkland and was the centre of the Orsett Hall agricultural estate. Thurrock F.C is an English football club based in Aveley, Thurrock, Essex. 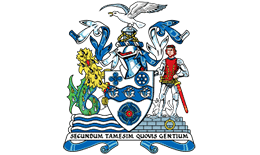 Known as Purfleet until 2003, the club are currently members of the Isthmian League Premier Division and play at Ship Lane. East Tilbury Railway East Tilbury railway station is on a loop line on the London, Tilbury and Southend Railway, serving the village of East Tilbury, Essex. 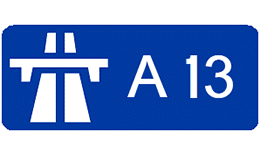 A13 is a major road in England linking Central London with east London and south Essex. 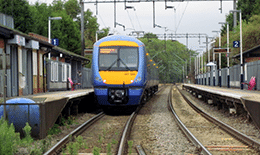 Its route is similar to that of the London, Tilbury and Southend Railway, and runs the entire length of the northern Thames Gateway area, terminating on the Thames Estuary at Shoeburyness. 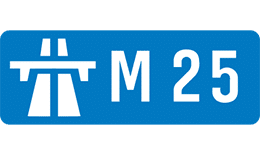 The M25 or London Orbital Motorway is a 117-mile (188 km) motorway that encircles almost all of Greater London, England (with the exception of North Ockendon), in the United Kingdom. 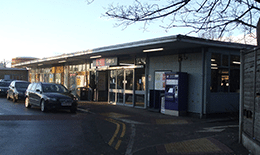 Grays railway station is on the London, Tilbury and Southend Railway line serving the town of Grays, Essex.